Supportive Connections hosted an Open House in September for a new program. Child Focus on-site facilitators are Parent Educators with decades of experience providing services designed to strengthen families, improve functioning and aid in successful reunifications. 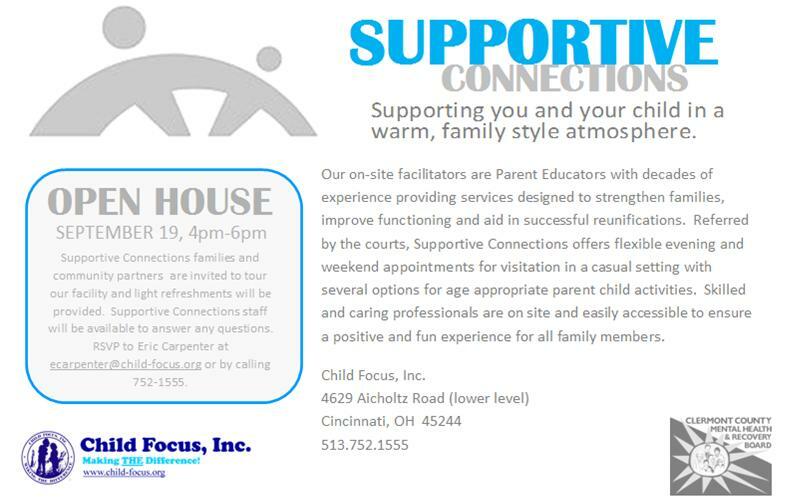 Referred by the courts, Supportive Connections offers flexible evening and weekend appointments for visitation in a casual setting with several options for age appropriate parent child activities. Skilled and caring professionals are on site and easily accessible to ensure a positive and fun experience for all family members.